Relocatable homes are a worthwhile solution for those wanting a flexible, affordable living situation. Superior Granny Flats are the specialists when it comes to relocatable homes in Victoria, and can help you design and customise your ideal modern, relocatable home to suit your every need. Our cheap relocatable homes allow you to keep your dependent loved ones close, while allowing for their personal freedom and comfort. Such homes are also easy to build and take care of, making it the perfect solution for elderly parents or teenage children. The fact that they are relocatable is also great to meet the changing needs of your family, unlike buying a property where you are locked in with a mortgage. Cheap demountable and transportable homes used to be thought of as being inferior in quality compared to a traditional home. However, if you buy your modern transportable home through a reputable supplier such as Superior Granny Flats, you can rest assured that you are receiving a high-quality, durable building that will stand the test of time. Cheap transportable homes bought online from foreign importers will not guarantee the same quality that Superior Granny Flats offers. Our cheap demountable homes provide the perfect flexible solution for people who may have family members come and go, or who may want the option of easily moving their new relocatable home in accordance with family needs. Keep your loved ones close yet retain your privacy with Superior Granny Flats’ relocatable homes across Victoria and Queensland. Prefab houses allow you to build your dream home without the fuss of working with an architect or builders. If you would like a prefab home in Melbourne as your dream home, or would like to have one in your backyard for a dependent family member to reside in, Superior Granny Flats are the team to turn to. 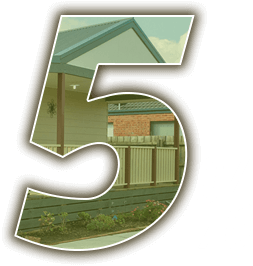 Our range of prefab homes in Melbourne are designed to suit a variety of tastes and needs, ensuring all our customers find their ideal solution. If, however, one of our prefab houses in Melbourne do not meet your every need, our expert team can always design a custom solution for you.